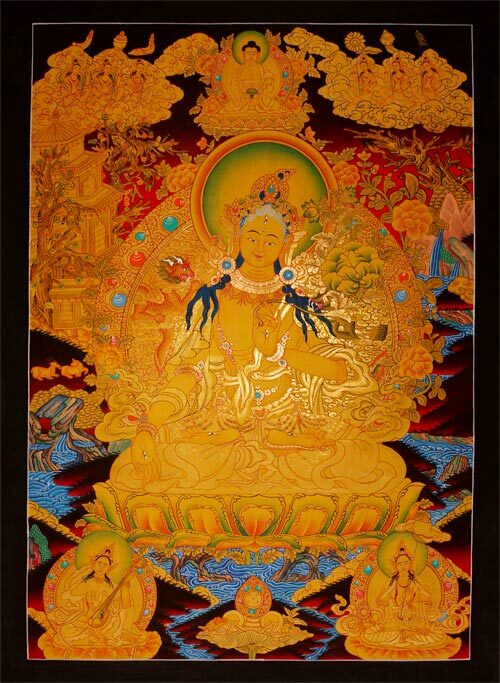 The White Tara on this beautiful and impressive painted thangka is a true masterpiece of a famous thangka painter. We show further thangkas in our website, painted by the same artist, see for instance No TH 5. This thangka was the template for printing the Tushita calendar. Minor color variations are possible in the calendar. This thangka was consecrated already by a monk of a Tibetan Monastery!